You can refer to the following home remedies for mange. All of them are effective ways to treat this itchy disease and help you to get rid of this discomfort quickly. Mange or scabies is a common disease caused by poor personal hygiene. As a result, quite a few people have to suffer from the high risk of parasitic infections that lead to the skin disease, particularly mange. Because this illness has been widespread for a long time, many traditional methods have come into existence. Moreover, almost all of them are efficient, safe and not costly. 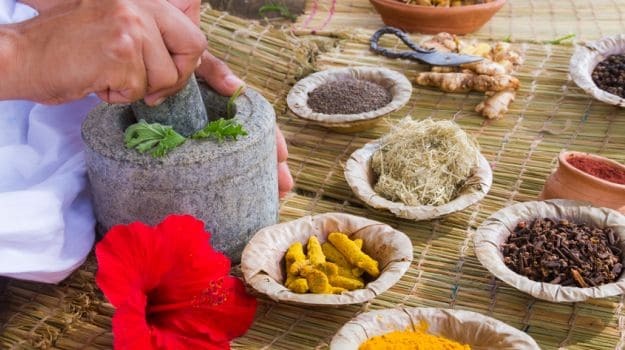 In this article, we would like to introduce the readers some traditional home remedies for manage. The mange is caused by a type of parasite called Sarcoptesscabiei penetrating into the skin where they dig a tunnel, make their nest and lay eggs under the skin, which brings about severe irritations. Each day, they give birth to between two and three eggs and continue to do that for four to six weeks. The frequency continually repeats itself unless these symptoms are detected and treated as soon as possible. Due to being a parasitic disease, this disease can spread through the skin. Therefore, it is necessary to avoid contacting the patients who have mange. In particular, you should not share the clothes or the bed with the patients. At the early period, it is hard to realize symptoms of manage. However, two weeks after the patients are infected with mange, parasites begin to dig holes under the skin to lay eggs. As a result, some symptoms will appear, for example, severely itchy skin and scabious eruptions that cover all over the body where itch mites build a nest. Due to the habit of itch mites that they lay eggs in the night; therefore, the itchiness often attacks the patients at night. In fact, the itch is so terrible that the people with the disease cannot sleep. For the treatment of the itchy skin, it is essential to kill all the itch mites. You can think about some useful methods to treat the disease. Peach leaves are considered to be one of the best types of leaves that are extremely efficient in getting rid of bacteria and killing parasites. For this reason, in Oriental medicine, peach leaves are also used as a remedy for skin diseases, itchiness, and rash. You just pick peach leaves and wash them, then boil the water for bathing every day. When taking a bath, you can add some fresh peach peel to rub the area of vesicles. It is the best if you soak yourself in the water of peach leaves for about 30 minutes so that the essence of the peach leaves support to eliminate the itch mite inside the epidermis of the skin. The patients are advised to bathe with the peach leaves once a day. If you maintain this habit for 20 consecutive days, the mange will be eradicated. Instead of using modern medical technology, people have long taken advantage of sponge gourd leaves for the treatment of mange. In reality, this remedy brings about a lot of achievements. The leaves of the sponge gourd have a function as an antiseptic and can kill bacteria and parasites. You can use sponge gourd leaves to treat mange simply as follows. First of all, you leave four or five leaves of sponge gourd to clean with water and crush until they become soft and smooth. Then, you add one tablespoon of salt to be crushed together with the mixture. For the next step, you use the crushed sponge gourd leaves to rub the affected skin. About 30 minutes later, you rinse it with water. You should continuously do that twice a day, which will help to eradicate itchy parasites most effectively. After a week, the itchiness will disappear completely. Another home remedy for mange is eucalyptus leaves because eucalyptus leaves contain bactericidal essential oils, which can directly kill the itch mite and make them not able to proliferate on the skin. Each day, you prepare and wash eucalyptus leaves to boil the water before taking a bath. Before cooking the water, you can crush eucalyptus leaves so that the substances included in the leaves will be secreted, which is for the better treatment of mange. After that, you soak the affected skin into this water and apply eucalyptus leaves to the affected area. This process is often completed in 30 minutes until all the itch mites are decimated. It is suggested that this should be done for about 2 weeks to remove the parasites and their eggs that may be hatched and when they grow up, they may cause some skin diseases. You need to prepare 120 grams of thinly sliced longan bark, 60 grams of crushed betel and 20 grams of potassium alum. Then, you put all of them into the pot and pour 400 ml of boiling water that is then filtered to pour down a bottle. It is recommended to apply this mixture on your skin twice a day, particularly in the morning and evening. You leave 30 grams of common purslane, 20 grams of Chinaberry and 10 grams of peach leaves to thoroughly clean with water and crush. Then, you put them into a clean glass jar and soak them in white wine (three cups of white wine). This solution will be useable after one night. You apply this solution to the skin 3 or 4 times a day and continually do that for 5 to 7 days. The above is the information about five home remedies for mange. If you correctly apply these ways, the symptoms of the itchiness will gradually disappear, thus eradicating the skin disease. Besides, if you cannot arrange the time to implement these methods, you can take the advice from the doctor so that you can choose some types of appropriate drugs that help to treat mange effectively. Hope that you will quickly recover from the disease. Previous articleWhat are the Advantages of Sports Massage Therapy?